(Revised 2015). 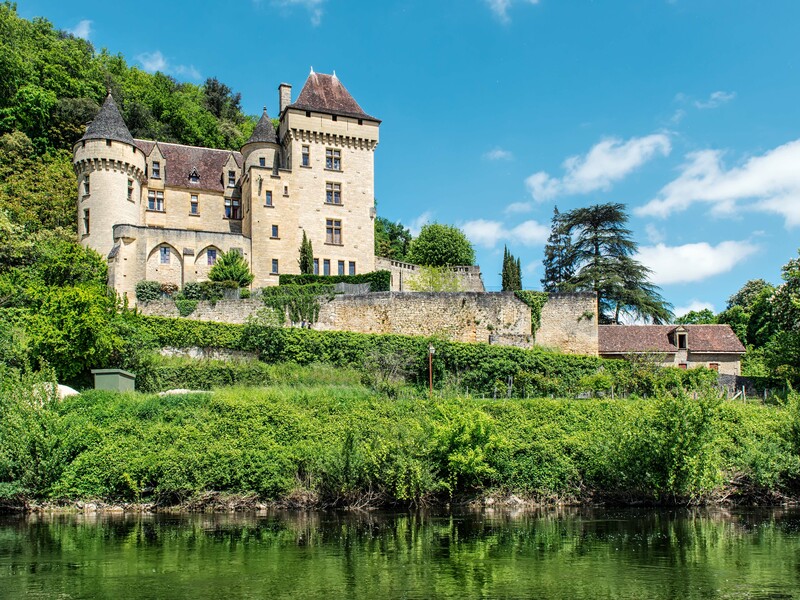 Recently I traveled to the Dordogne region for a third time, the first having been eleven years ago and the second two years ago. 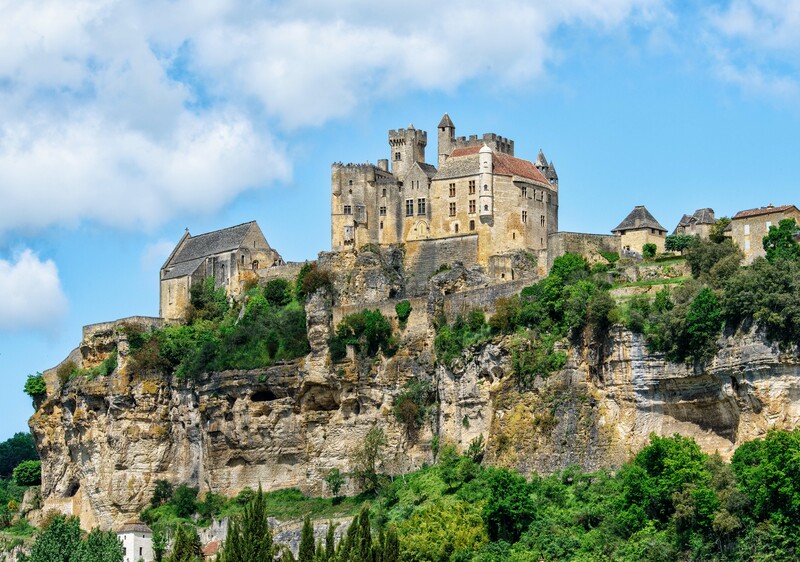 A visit to this area (also known as Périgord) is a voyage through history and even prehistory. 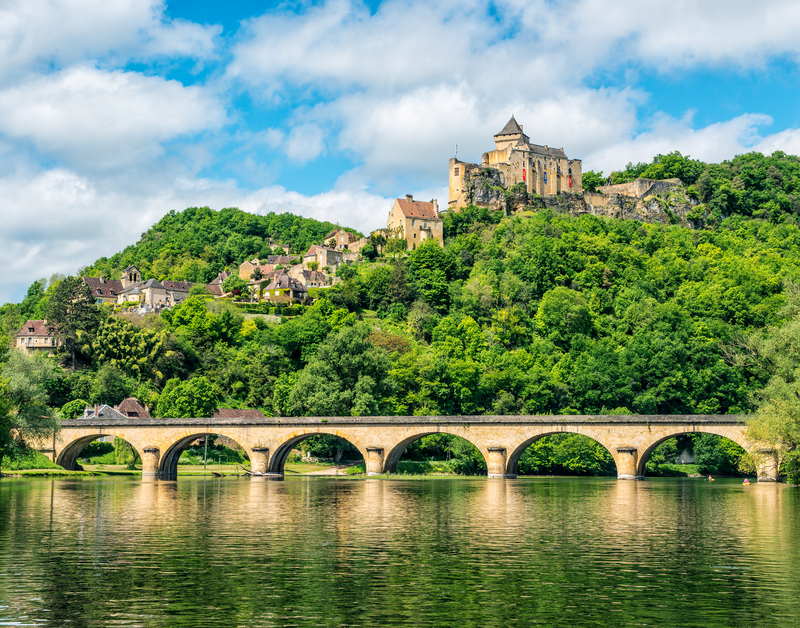 Medieval and Renaissance castles look down on the river at several points, while literally hundreds of others dot the region. 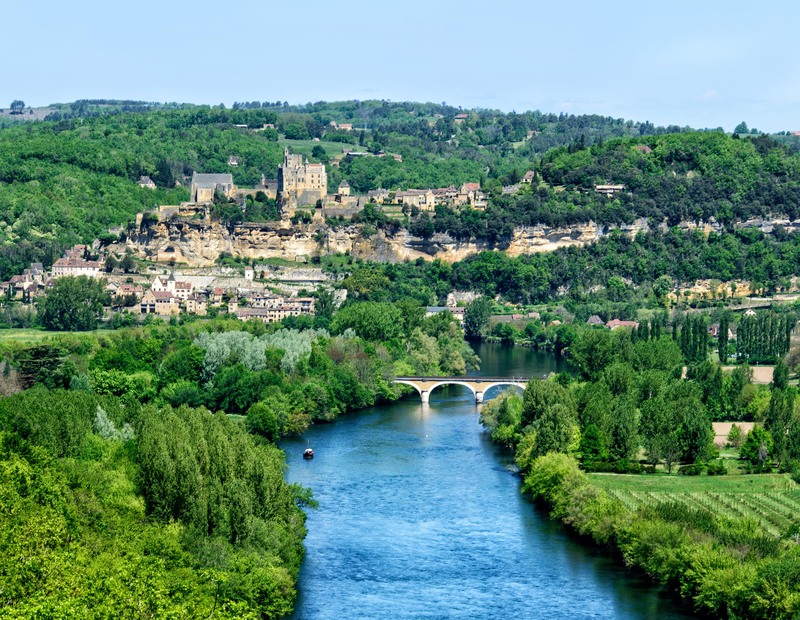 The Dordogne and its tributary, the Vézère, are lined in many areas with towering limestone cliffs honeycombed with caves that often provided shelter for village residents during the wars of the Middle Ages. 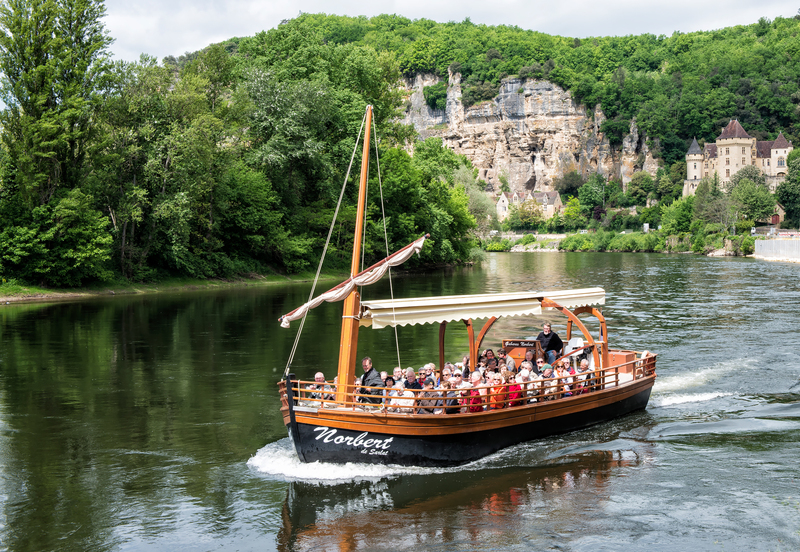 Some of these caves, such as those at Lascaux, Rouffignac and the Font de Gaume, contain pictures of animals such as woolly mammoths, bison, bulls, horses and reindeer that were drawn, painted or carved onto the interior walls by Cro-Magnon people 12,000 to 18,000 years ago. 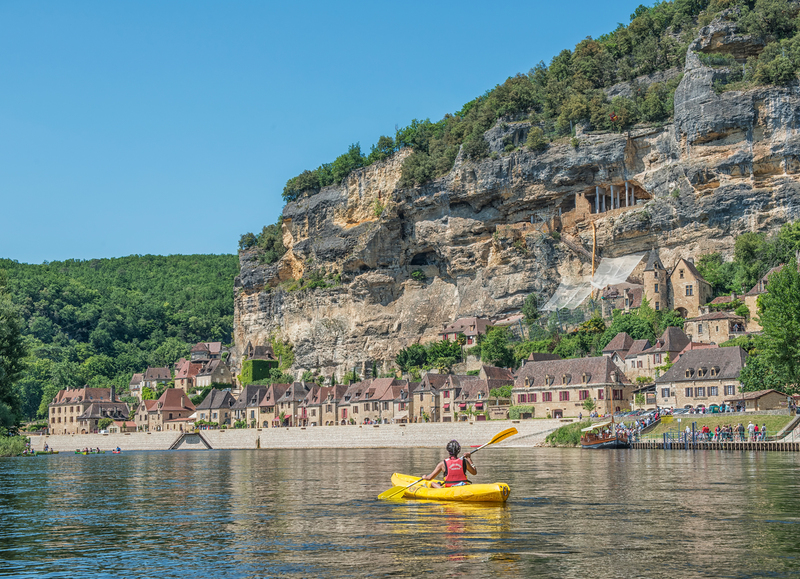 The spectacular sights in the Dordogne region are not by any means limited to the banks of the river itself. 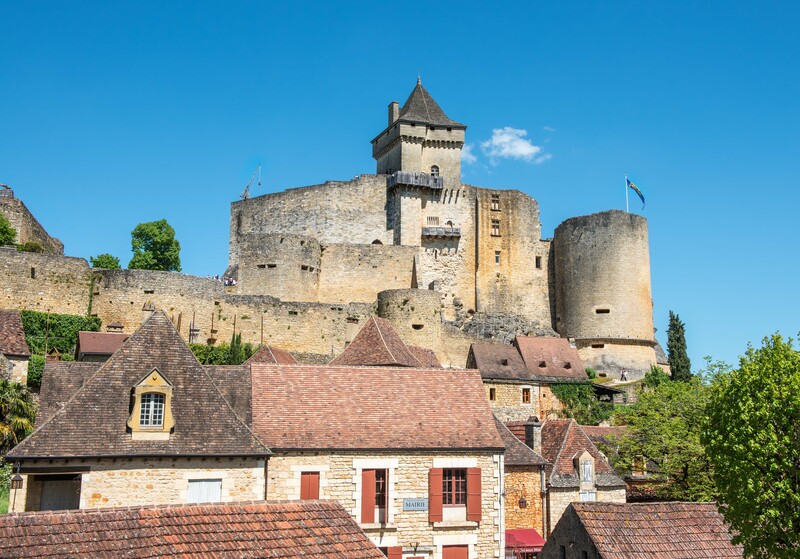 The area is filled with hundreds of castles and other medieval and Renaissance sights, and in fact is popularly known as the “Land of 1,001 Castles.” One of these is the Château de Puymartin. 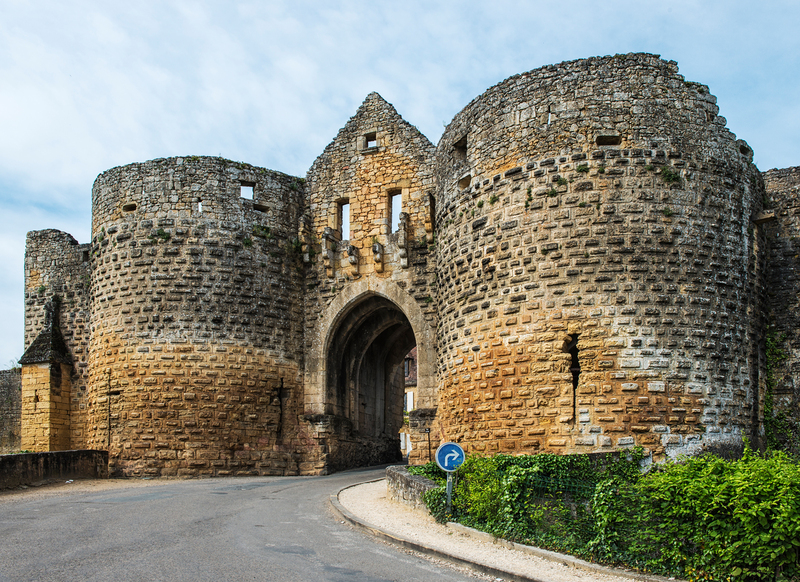 Built during the 13th century, the castle was destroyed during the Hundred Years War and rebuilt in the 15th century. 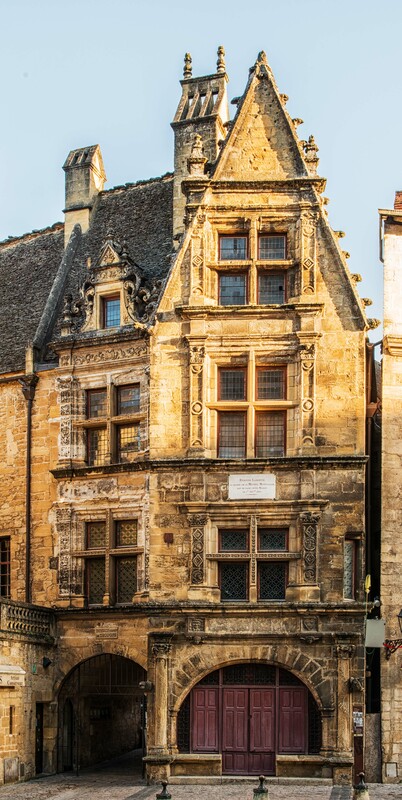 It has been owned and occupied by descendants of the same family since 1450. 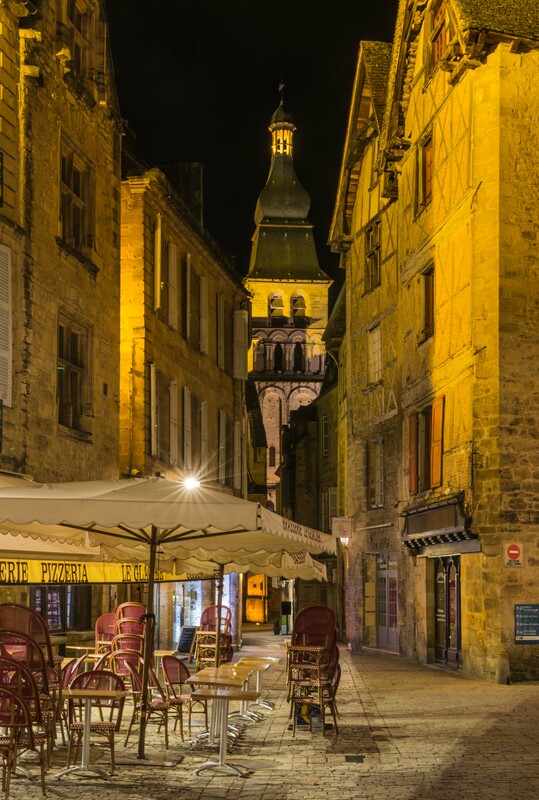 Sarlat is full of history. 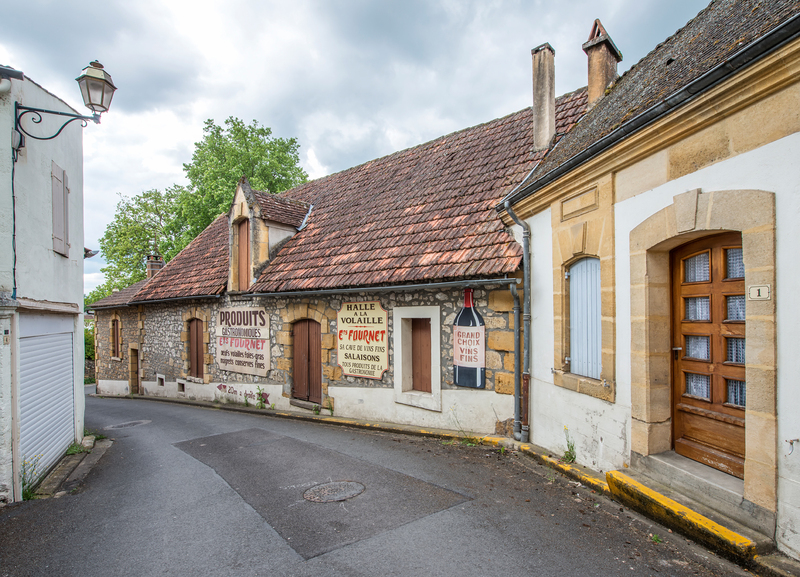 The sign on the house shown in this photo states that Etienne La Boétie was born here in 1530. 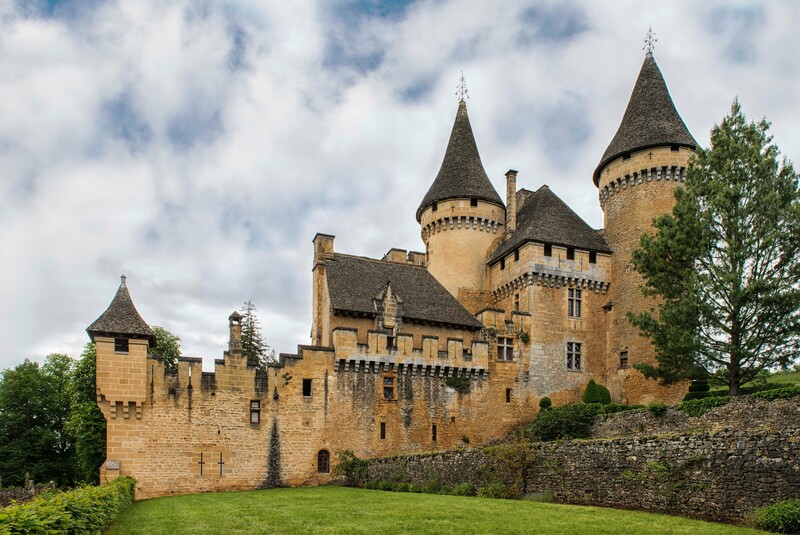 La Boétie was a writer, diplomat, judge and a founder of modern French political philosophy, but is probably best known today as the famous friend of the philosopher Michel de Montaigne. 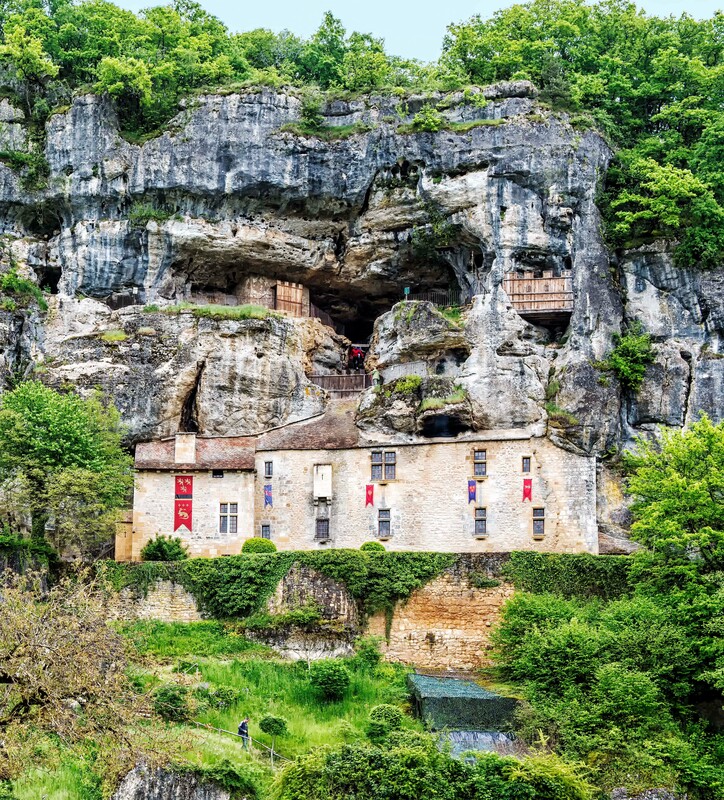 Built into the side of a limestone cliff close to the Vézère River, the façade hides vast interior spaces on multiple levels. 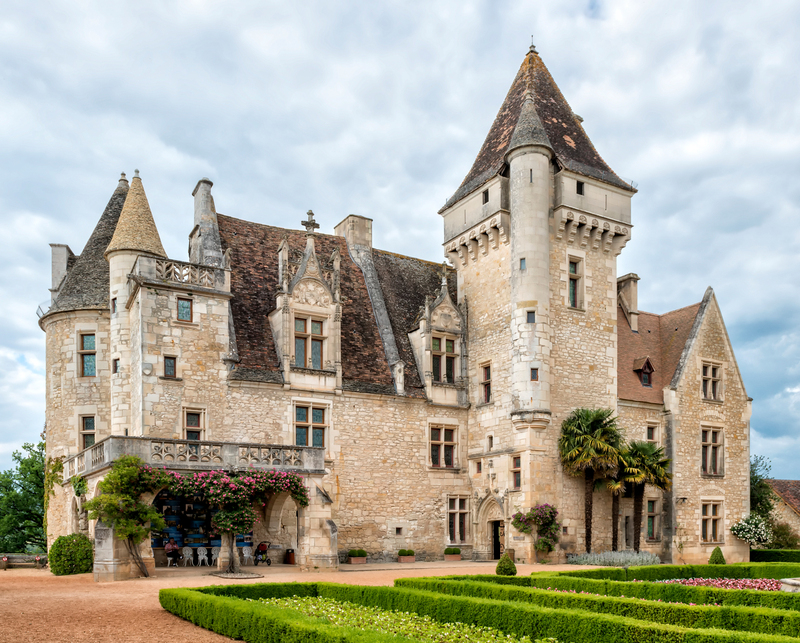 Beginning about 700 years ago, it was constructed and occupied as a baronial castle, and its many rooms are today still beautifully outfitted with period furniture and furnishings. 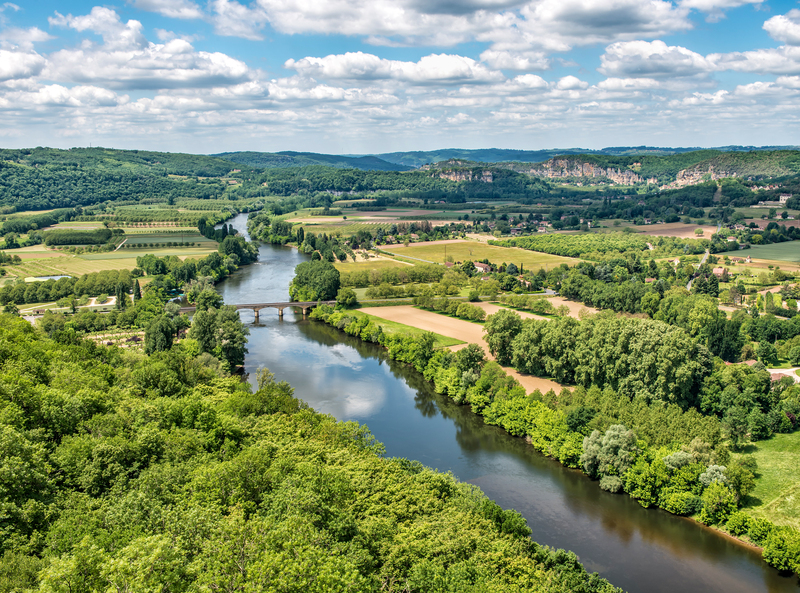 But there is also copious evidence that the site was occupied by Cro-Magnon people 20,000 years ago, like many other sites in this area. 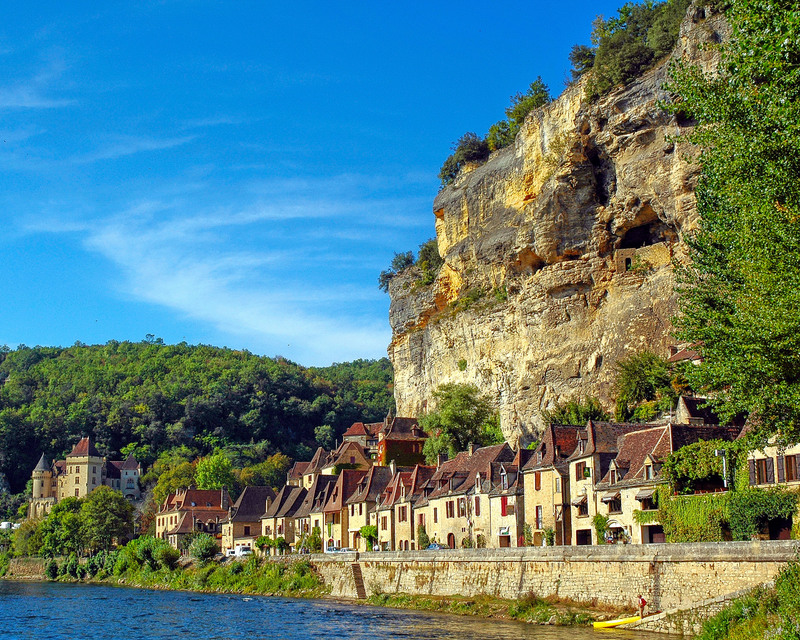 Other major attractions in the Dordogne region include Les Eyzies de Tayac, site of the original discovery of Cro-Magnon Man and home today to the Musée National de la Préhistoire (National Museum of Prehistory), and Lascaux II, located in Montignac, a replica of the original Lascaux cave discovered in 1940 which contains the world’s most famous prehistoric cave paintings. 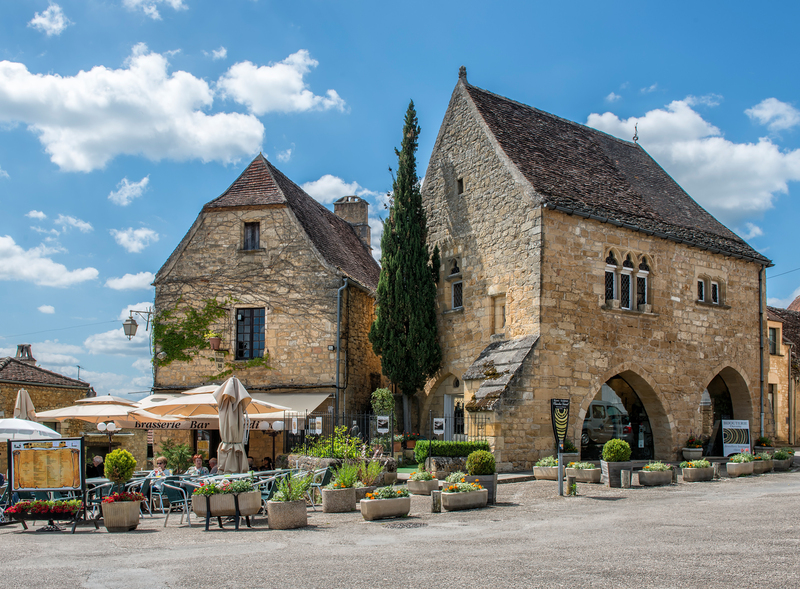 When in the Dordogne, I stay at the idyllic Les Hirondelles (The Swallows), located in the tiny village of Carmensac on Route D48 between Meyrals and Les Eyzies de Tayac. 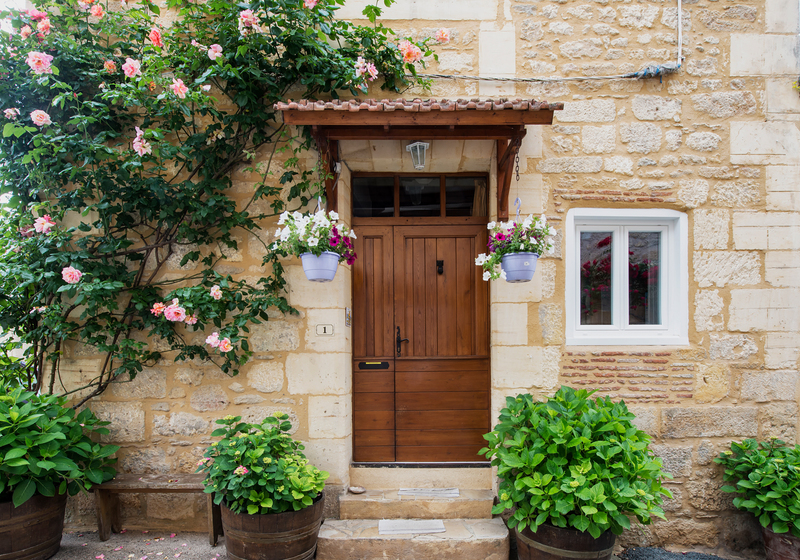 This is a converted and thoroughly modernized 300-year-old stone abbey, owned by an American couple who live in a separate house on the premises. 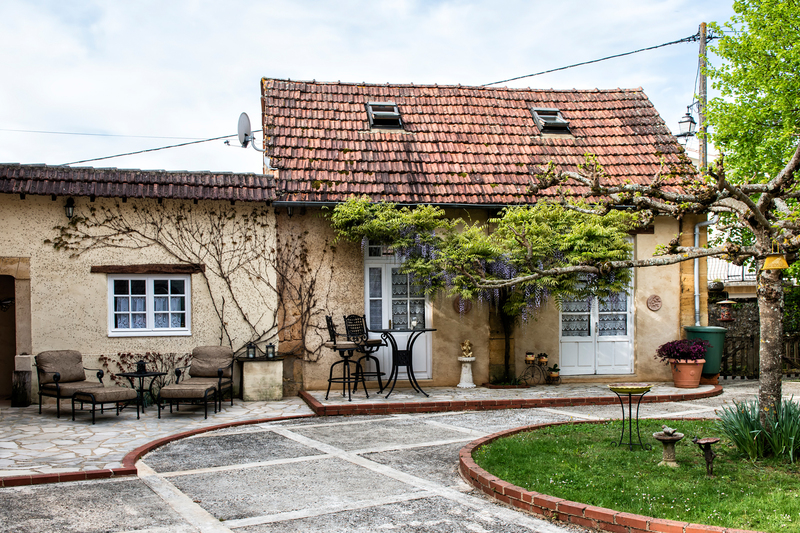 Available on the property for vacation rentals are a one-bedroom “Butterfly Cottage” or the five-bedroom “Mulberry Tree Villa.” The owners have also installed a heated in-ground pool and jacuzzi and other features that help make this a perfect vacation stop. 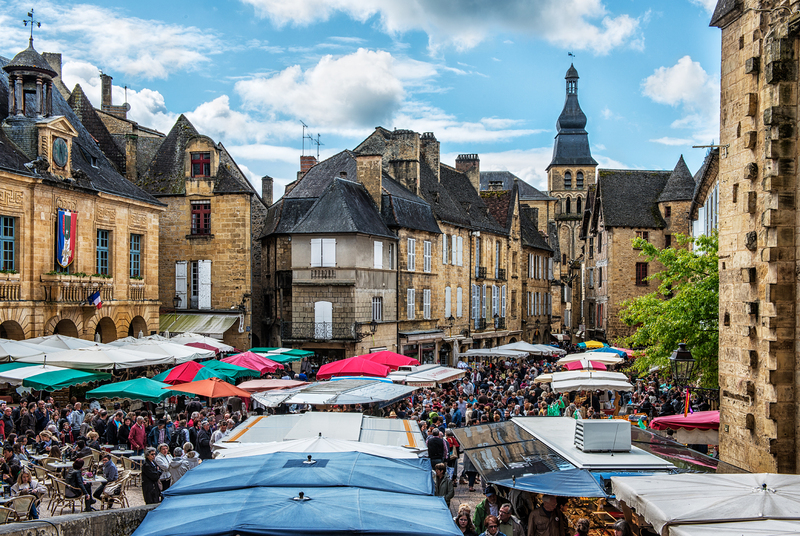 It is centrally located less than 10 minutes from Les Eyzies and about a half hour’s drive from Sarlat-la-Canéda, Beynac-et-Cazenac, Castelnaud-la-Chapelle, La Roque-Gageac, Domme, Lascaux II, Les Milandes, and many other top attractions of the area. 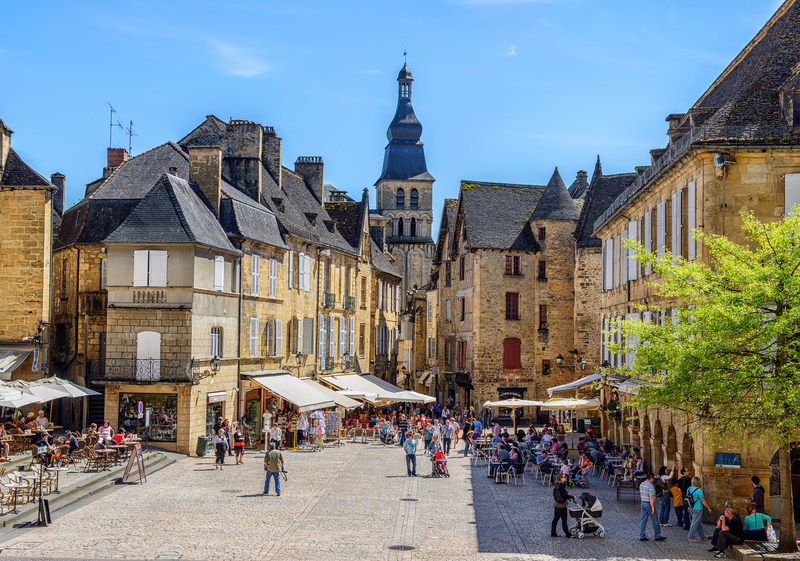 As you can see, the Dordogne region is filled with an almost inexhaustible supply of beautiful and fascinating things to see and to do. 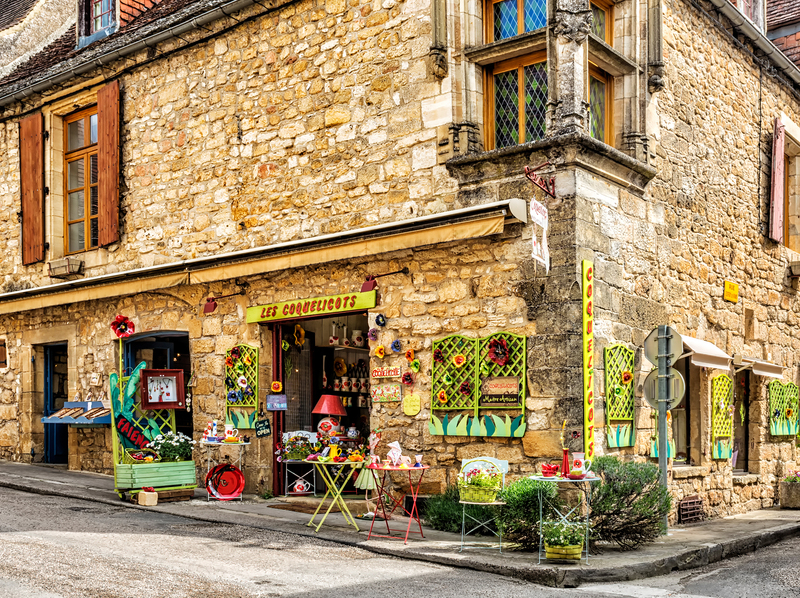 The photos shown in this article and other photos from the Dordogne region are available for viewing and purchase in full original resolution in the Dordogne Gallery of my photography website. 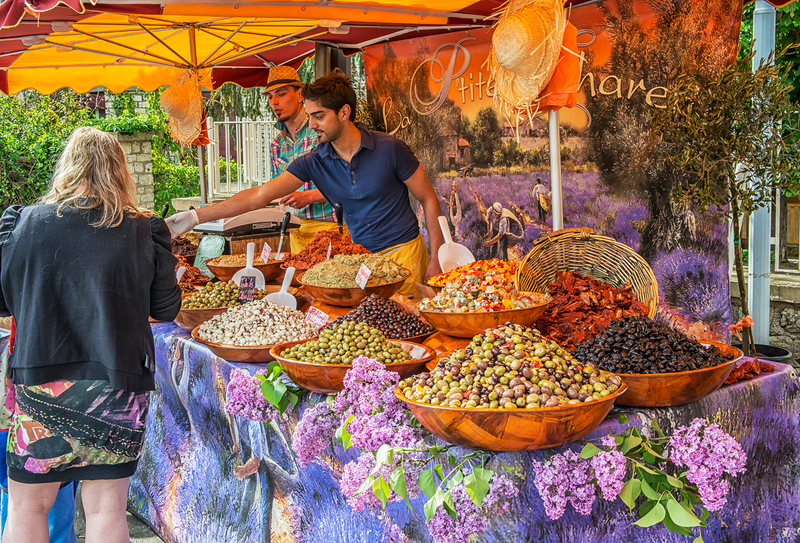 For further information about my photography, please also visit my photography Facebook page. What beautiful photos! Sandy and I know this region well. A few years ago, a group of friends and we rented a house in the area. Your photos are just beautiful!